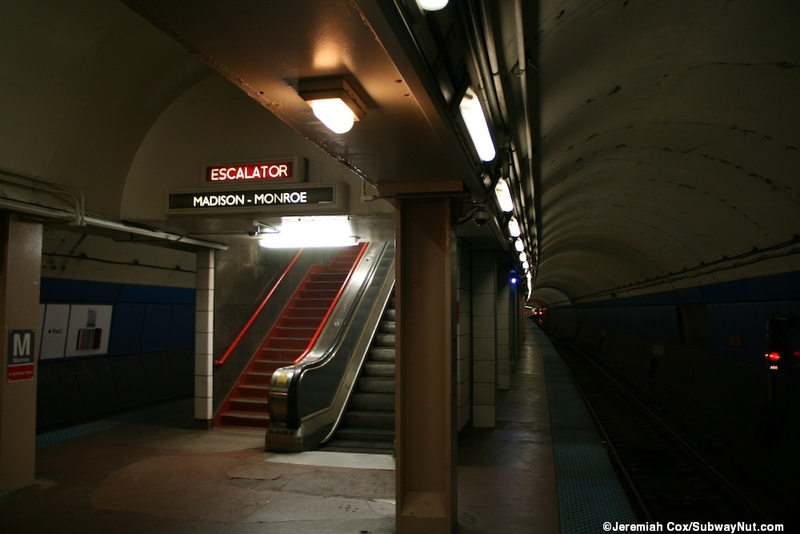 The station has two mezzanines, one at the northern end of the stopping area for trains, and at the southern stopping area for trains. 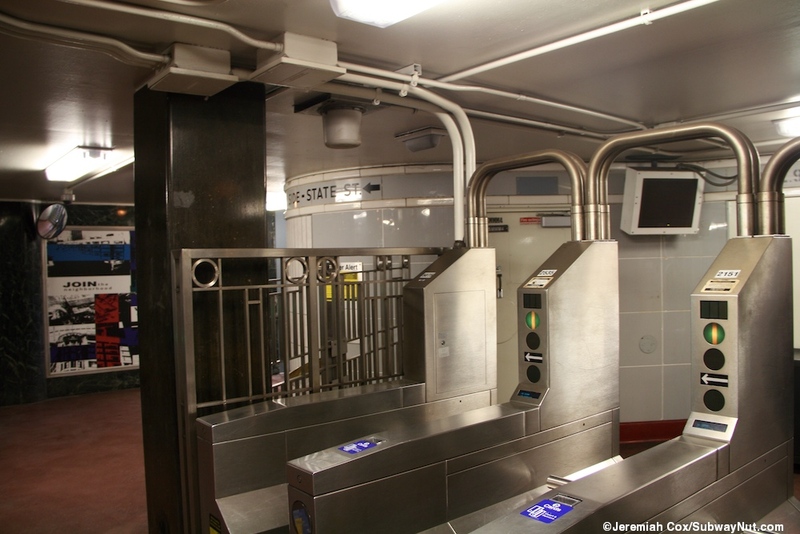 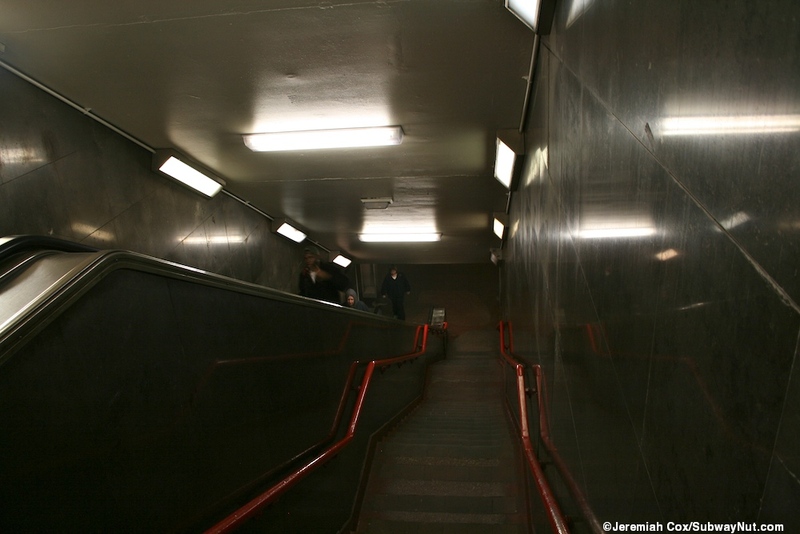 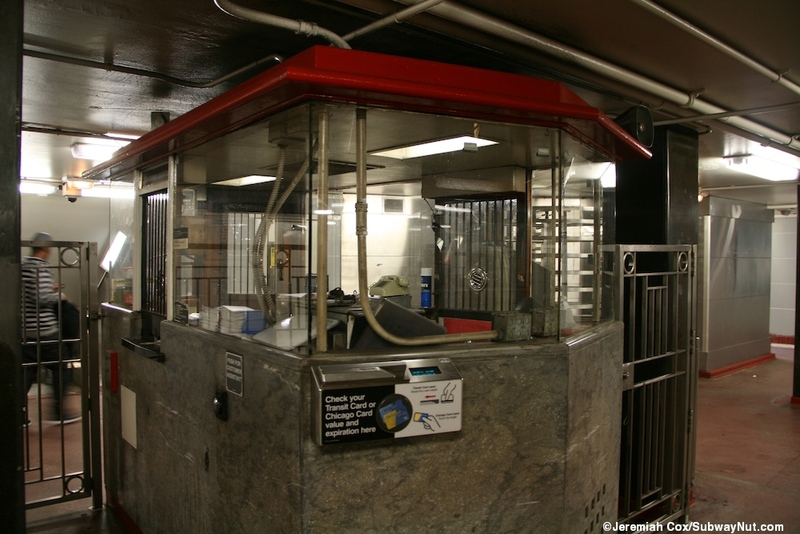 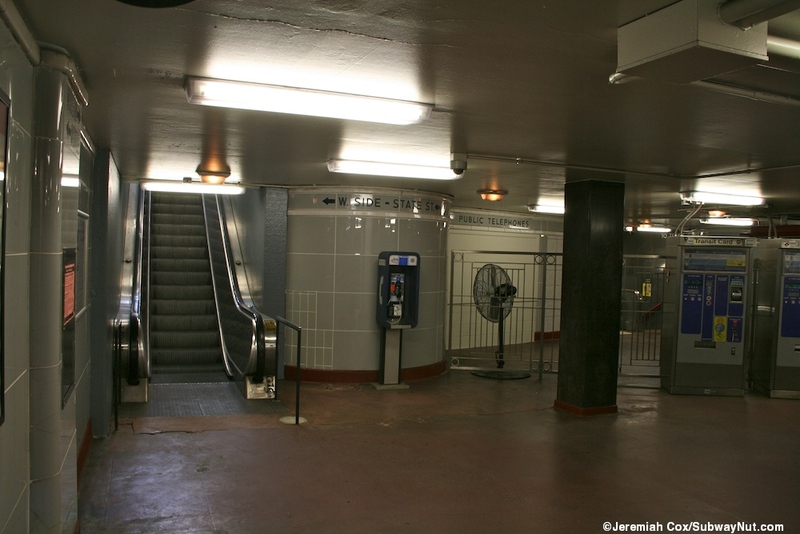 Each mezzanine contains turnstiles that lead to a staircase/escalator to the stopping area of trains, and a combined staircase/escalator (although when I visited in June 2018 both escaltors that look like they were installed in 1943 were closed and fenced off) that leads to a high exit only turnstile, just beyond train stopping locations. 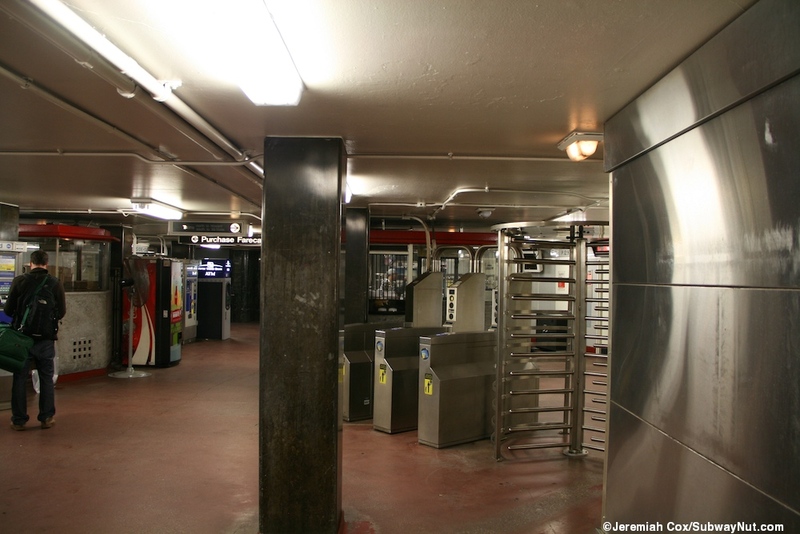 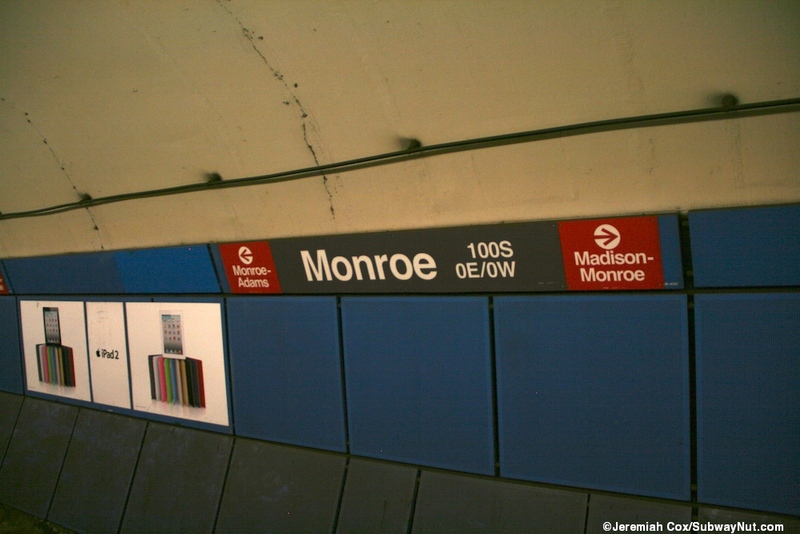 The northern mezzanine is for Monroe and Madsion, Exits from this mezzanine are up to each side of Lake Street between Monroe and Madison, each side of the street has an exit only escaltor (farther north) followed by a staircase these have the Gold entrance portals standard to the State Street Subway. 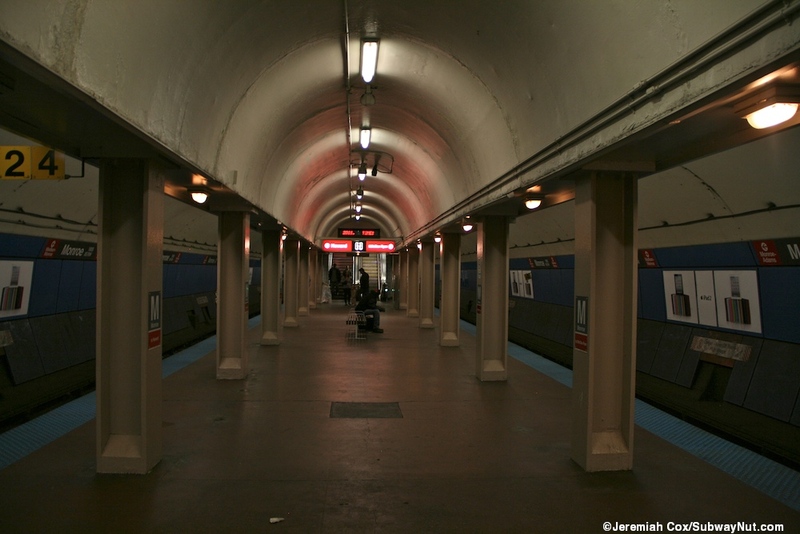 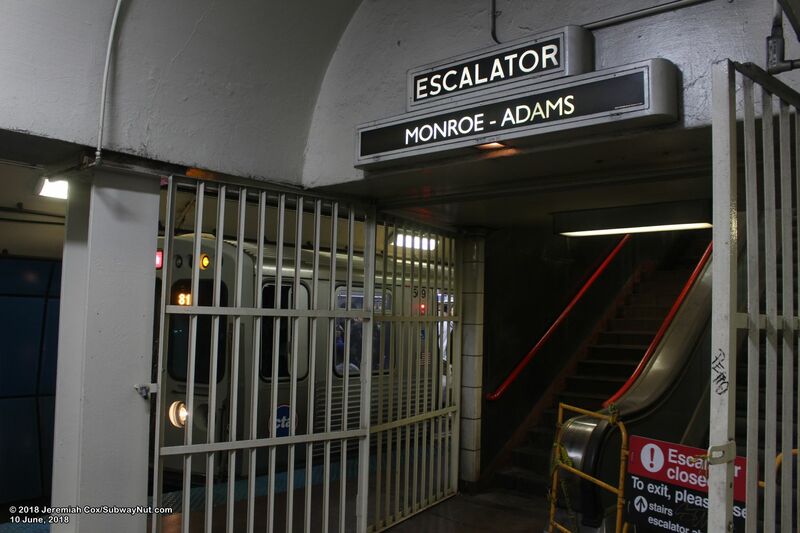 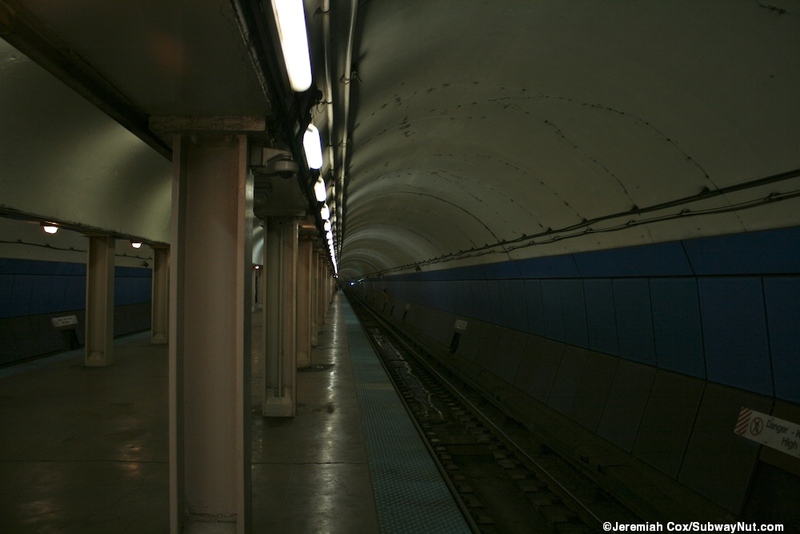 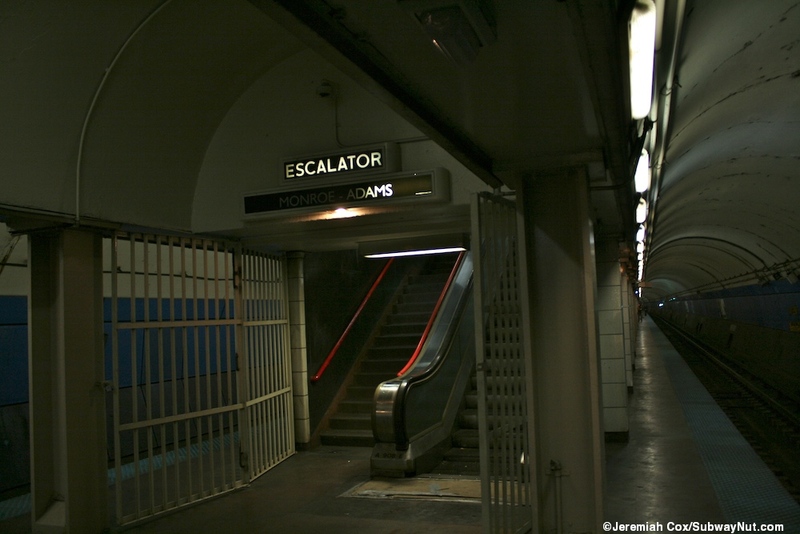 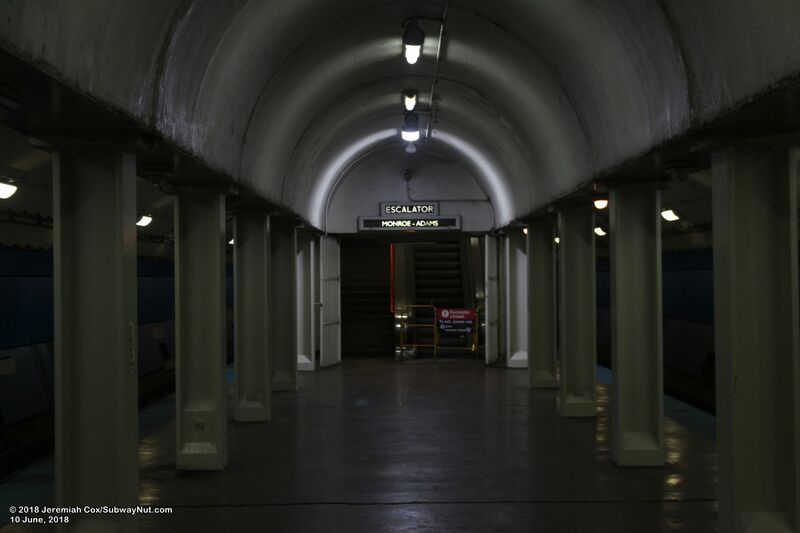 Although the escalator to the west side of the street is temporary closed until further notice during an inspection the escalator was found to have extensive issues that the CTA cannot repair, and the CTA is still working on identifying funds to purchase a new escalator, as a sign tells rides on the plywood in the mezzanine. 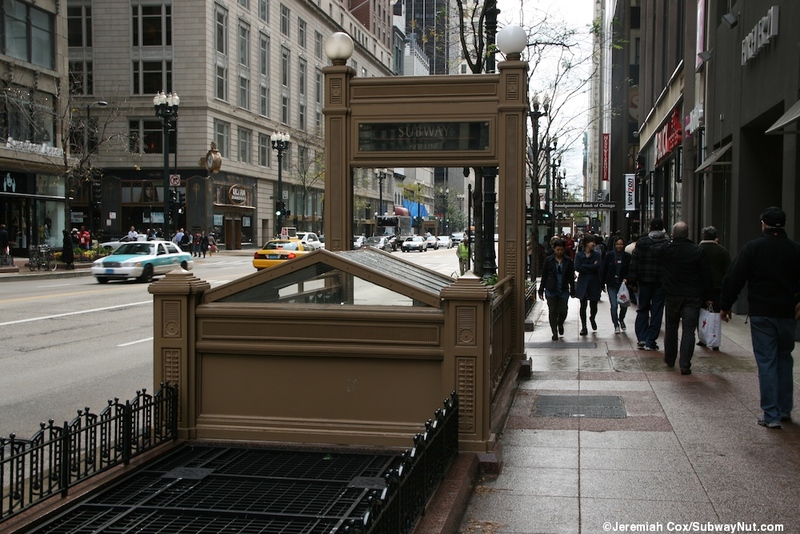 The portal and street level is now pastered with ads to visit the loop. 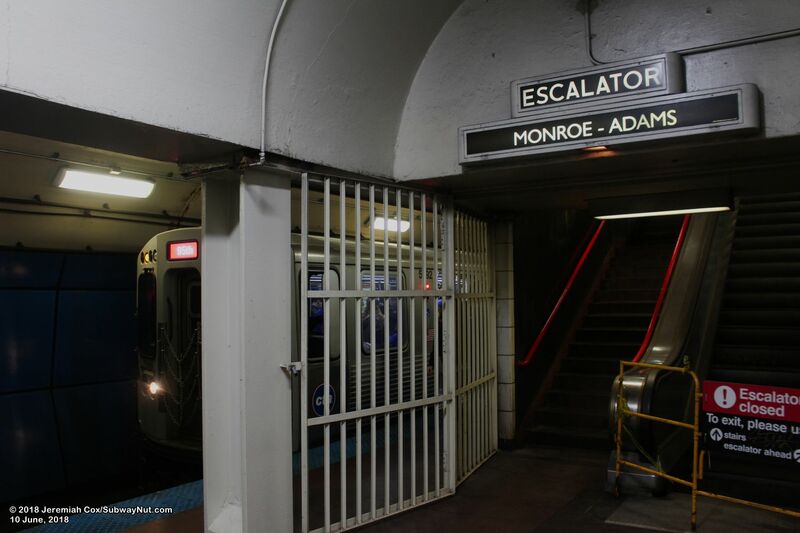 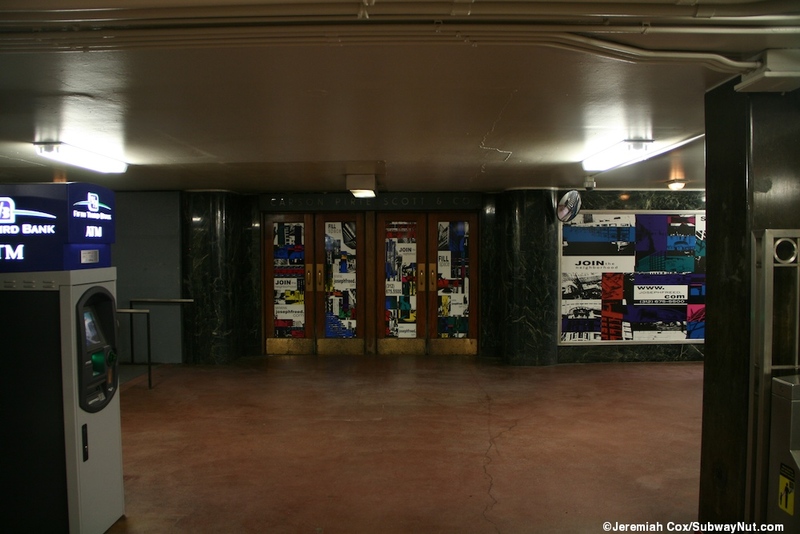 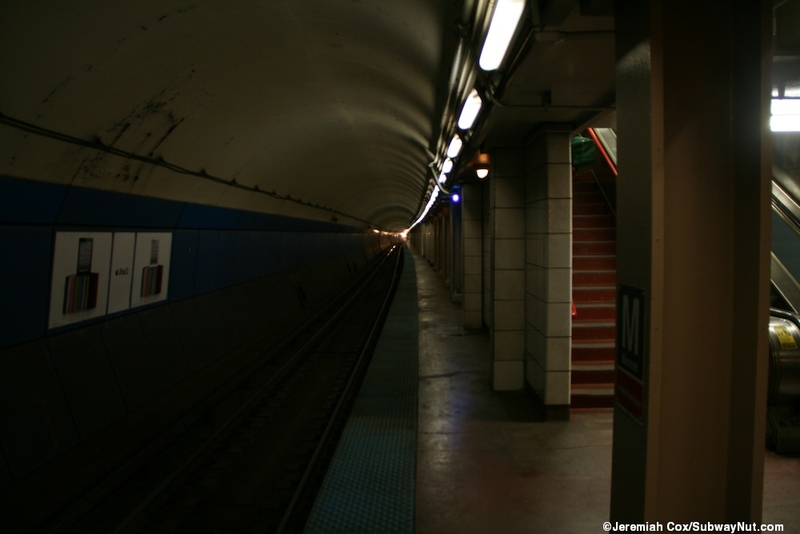 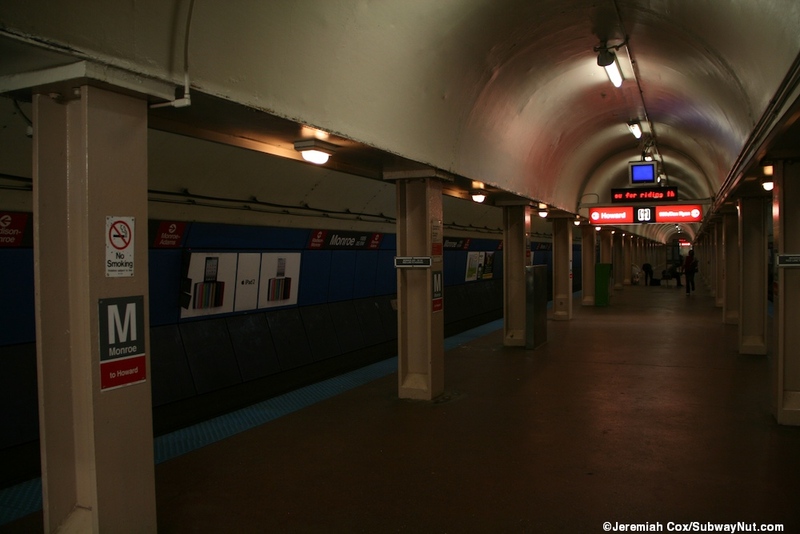 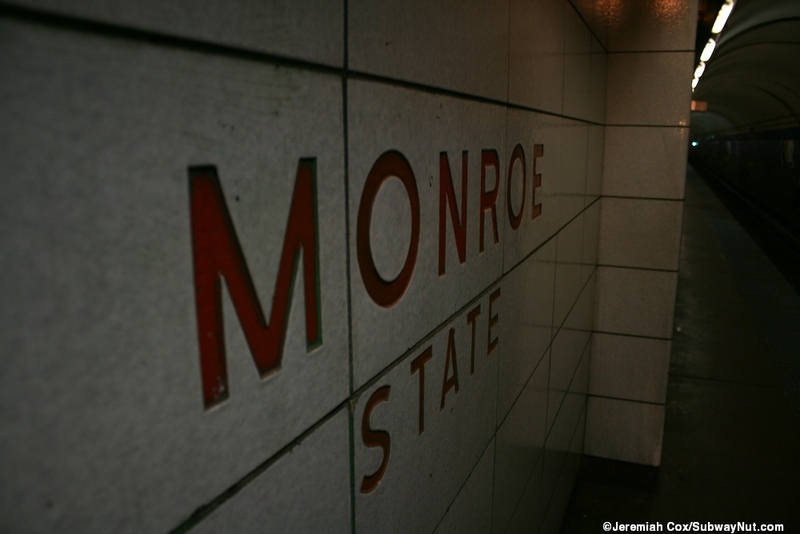 The southern mezzanine has is for Monroe and Adams with an exit only, always up escalator and staircase up to each side of State Street between Jackson and Adams. 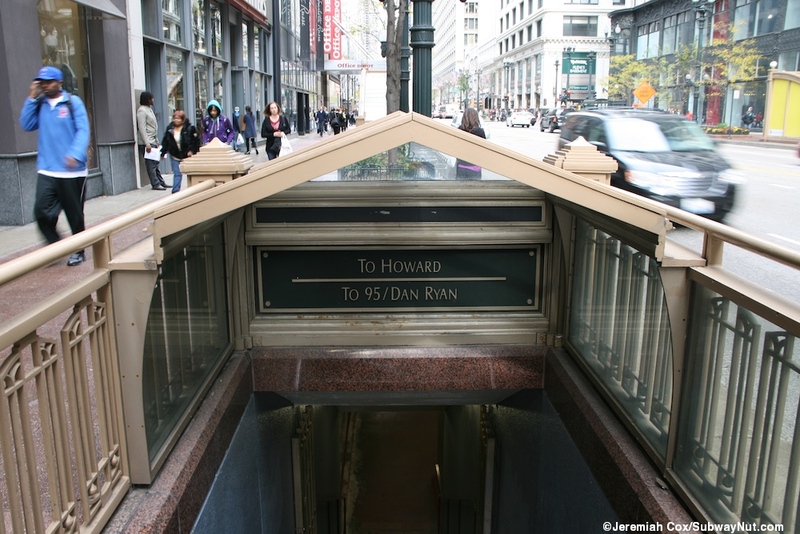 The direction of these are in reverse, on the east side of the street the escalator is the northern exit, south side of the street the southern one. 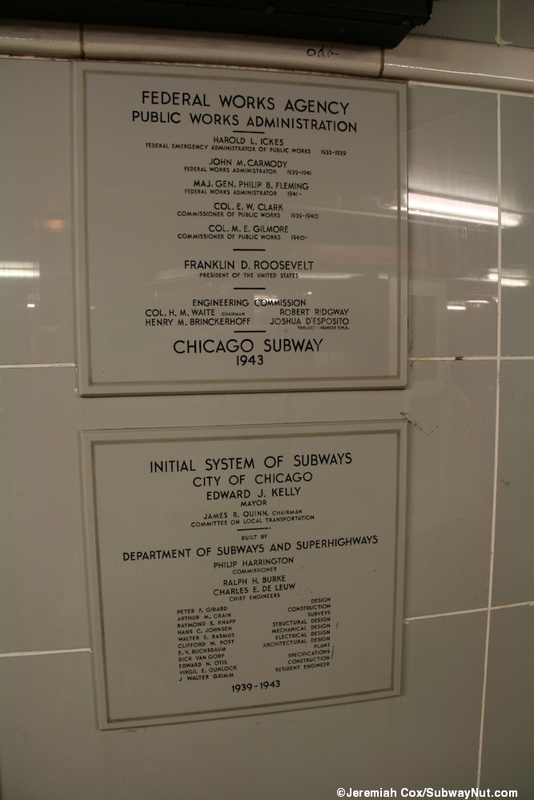 Chicago-L.org, has been referenced frequently in the writing of this section.